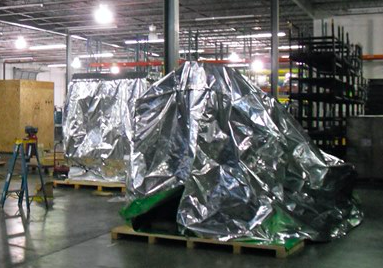 Mugele’s packaging development services are determined by your specifications for individual products and customers. 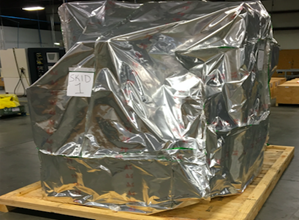 Our packaging solutions are optimized for all technical, logistical, financial, and ecological requirements and are developed in close cooperation with our clients. 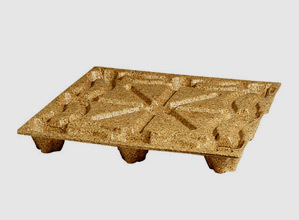 We will be glad to showcase our expertise in developing custom packaging in wood, metal, plastic, and cardboard (corrugated). 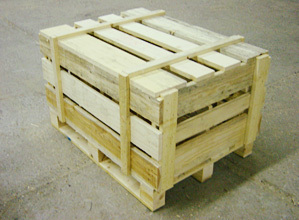 Mugele offers these types of pallets for use in packaging and shipping of goods. 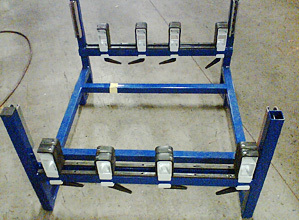 Standard constructions or with the dimensions specified by you. 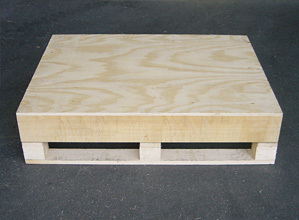 We can also provide the corresponding solid wood covers upon request. The inexpensive solution for one-time use. 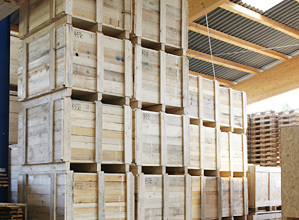 Your goods will be fully protected – e.g., for air or sea shipments. … or entirely according to your specifications. 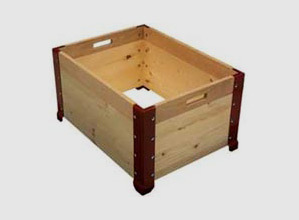 These boxes are constructed extremely well and are intended for multiple uses. We are guided by the needs of the product. 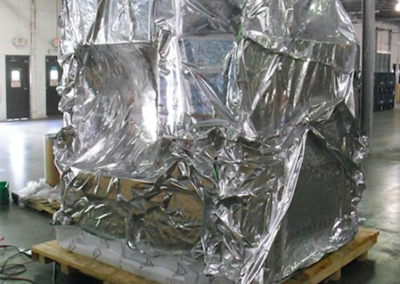 We develop intelligent inside packaging adapted to your products. 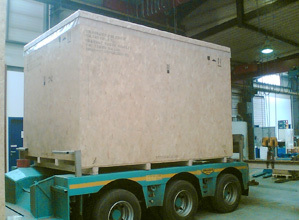 Mugele provides these types of boxes for packaging and shipping of goods. 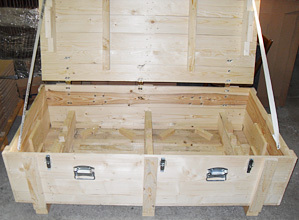 We produce a wide range of export boxes to meet your specific needs. 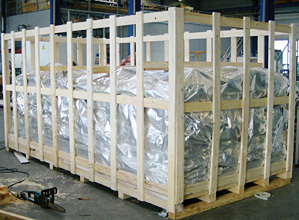 They are constructed to guarantee secure shipping of goods to anywhere in the world. 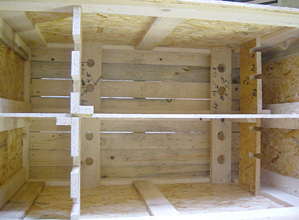 All boxes are also available in designs that satisfy the IPPC standard (ISPM 15). 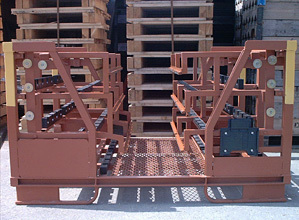 Box constructions for heavy machinery and goods are routine to us. Let us show you how we can meet your packaging needs. Submit an order inquiry today. 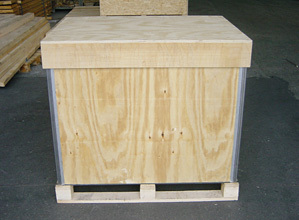 The shape of a wooden crate represents inexpensive protection for your goods. 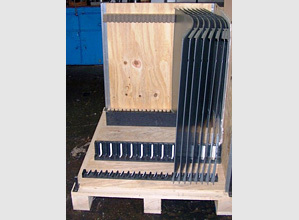 Do you need qualified professional advice and support for designing a metal transport rack? We will be very glad to develop a practicable concept specifically for your needs on the basis of our deep pool of experience. 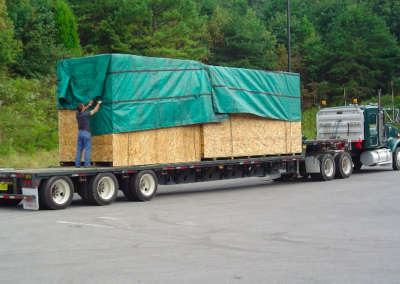 In order to keep pace with the steady increase in demand for exportable pallets, in the summer of 2006 we invested in a wood drying system. 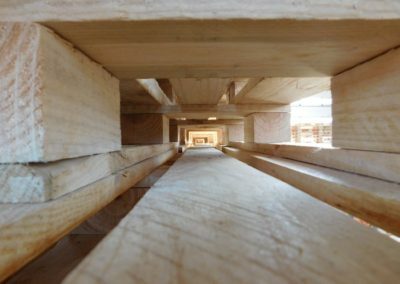 This enables us to dry pallets for products that are subject to special hygiene regulations, and also to perform the IPPC-ISPM 15 procedure. We have received approval to carry out this procedure from the Stuttgart Regional Council, certification number DE-BW-49-1-2-014. In order to conserve indigenous tree stocks from the introduction of pests that can harm the wood, many countries have passed quarantine laws for this purpose. 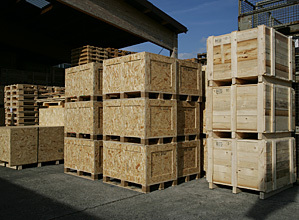 To prevent widely diverse import regulations from being drafted in different countries, the International Plant Protection Convention (IPPC), a subordinate organization of the UN Food and Agriculture Organisation (FAO), has issued ISPM 15 (International Standards for Phytosanitary Measures) “Guidelines for Regulating Wood Packaging Material in International Trade” governing international shipping of solid wood packaging material. ISPM 15 applies solely to solid wood. 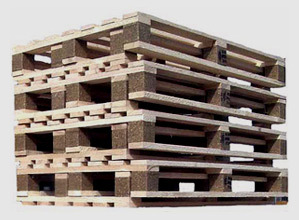 Wood materials and solid wood thinner than 6 mm (in accordance with the EU Harmonized System) are excluded. 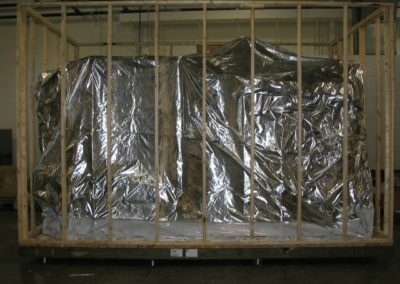 Treatment of packaging in accordance with recognized methods. These include heat treatment (HT) producing a core temperature of 56°C for a period of at least 30 minutes, e.g., by technical drying (KD – kiln-drying) provided the values cited are reached. 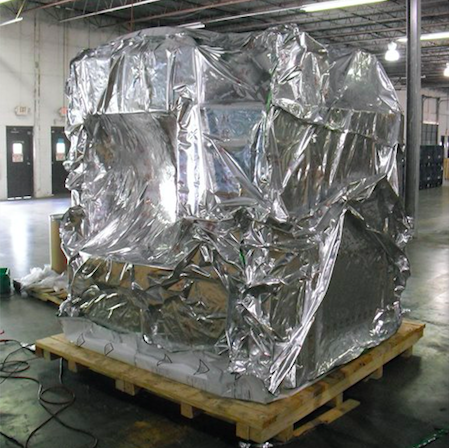 Chemical Pressure Impregnation (CPI) is only recognized if the previously cited specifications for HT are satisfied. Another method is gassing with methyl bromide (MB) depending on concentration, duration and temperature. Marking the packaging. In this context, identification must be applied on two opposite sides of the packaging and must be permanent and clearly legible. The identification mark is compiled from the country ID according to ISO 3166 (e.g., DE for Germany), the code for the region (e.g., BW for Baden-Württemberg), and a registration number that is assigned to the packaging manufacturer, the packager or the shipper by the regional Plant Conservation Agency (one-time number beginning with 49). With regard to the treatment method, the abbreviation HT is used to indicate heat treatment or MB to indicate gassing with methyl bromide. On occasion, DB may be added to indicate that the wood is debarked. Use of debarked wood may be required. Waiver of requirement for official plant conservation certificate. The plant conversation agencies or authorities will provide information regarding the countries where the IPPC standard is applied, the date when it was adopted, and its precise coverage. 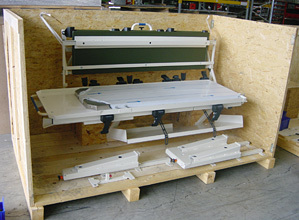 Do you need to move or relocate single machines, product lines, or entire production plants? 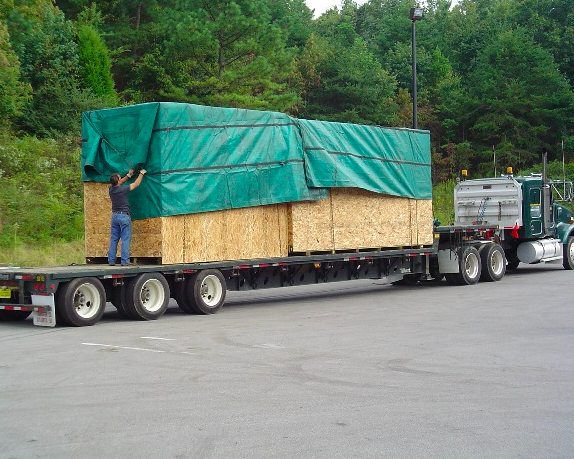 Need help with project planning, teardown, packing, loading, transporting, assembly, commissioning, and logistics? Give us a chance to place our knowledge and expertise at your disposal so that you can concentrate on what really matters: growing your business. Contact Mugele today for your packaging, shipping, and machine relocation needs.